The advantages of this module over other solutions. A programmer is not needed! The normal installation that everyone knows (no need to coding or install any additional modules to add the widget on a website). Everything is simple in the module settings (you can input the existing widget ID or register a new one without leaving the module settings). It is easy to disable or enable the widget by the module (with another solution of "directly inserting the widget code" by editing the PrestaShop template, you will have to correct this code every time). The caching in included (very small, but an extra penny to the performance of the site - this is not done by "directly inserting the widget code"). The module is developed and maintained by the trusted official partner! 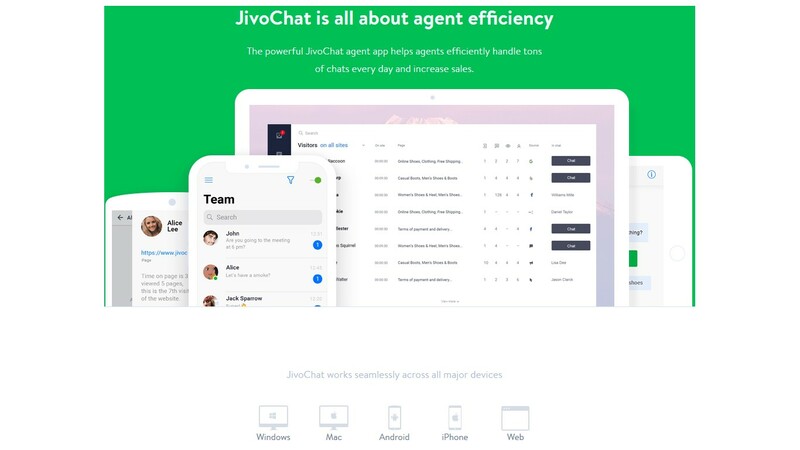 The advantages of JivoChat over other solutions. The full set of essential functions by a price lower than competitors. 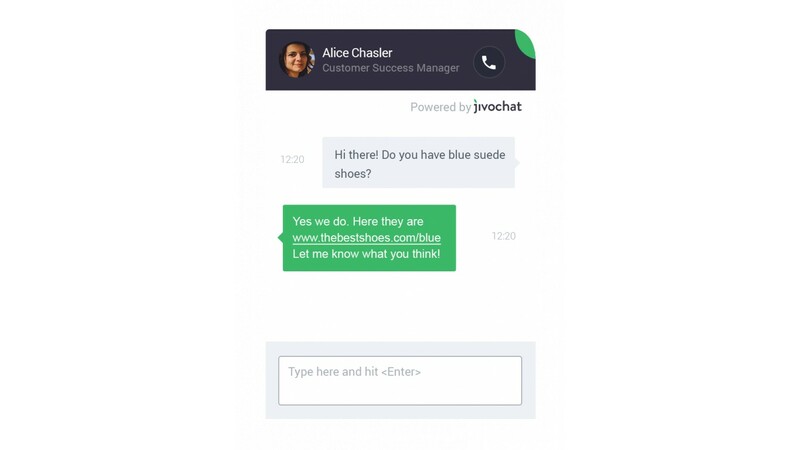 There is a free version for one user (quite enough for stores with a small customer activity). The full-featured application for a desktop computer and applications for mobile devices (Windows, Mac, Android, iPhone and of course for a Web-browser). 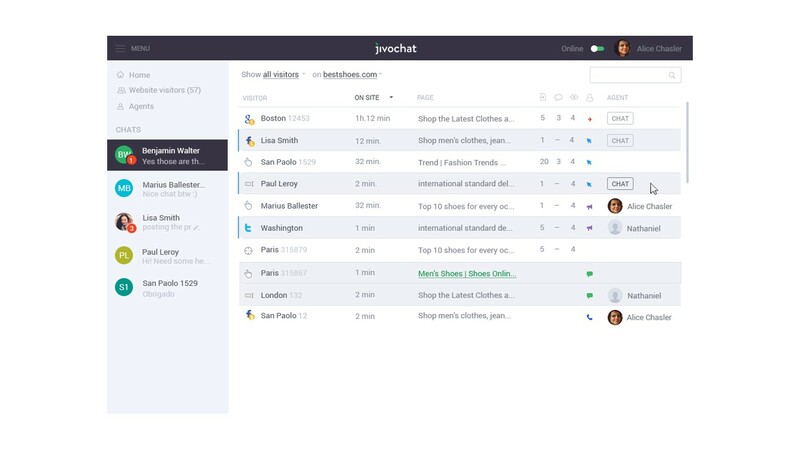 The full-featured business phone system (Jivo Telephony). It give much more than other self-hosted software, including free online support for merchants. 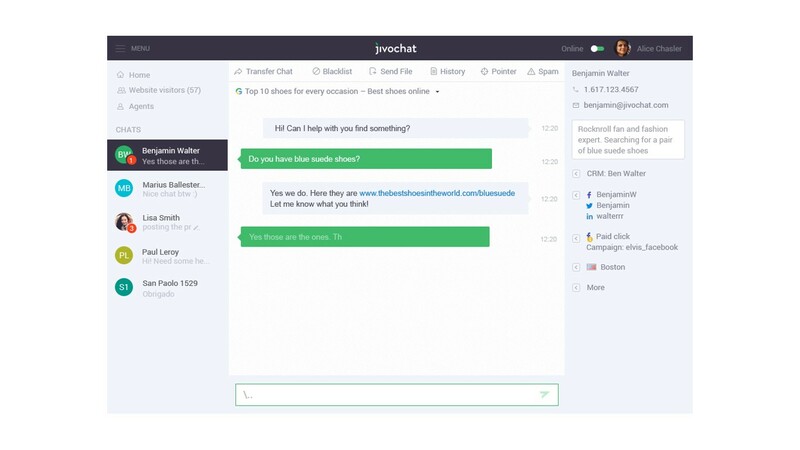 Online chat is probably the most convenient tool for communication on a website. It makes it easy to ask a question to a consultant and get an answer quickly. 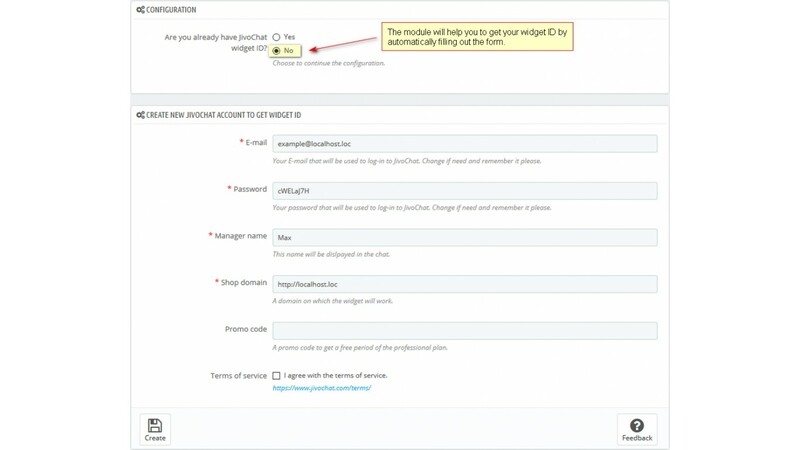 Enter an existing widget ID or registering a new one directly from the module settings! Before a registering a new widget ID the module auto-complete all necessary input fields! The full set of essential functions: Multilingual, CRM integration, Detailed visitor info, Automatic triggers, Typing insight, Real-time visitor monitor, Service quality ratings, E-mail chat transcripts, File transfer, Offline lead generator, Quick phrases helper, Translator, Black list, Callback, Departments, Pointer, Geo-IP regions and more. 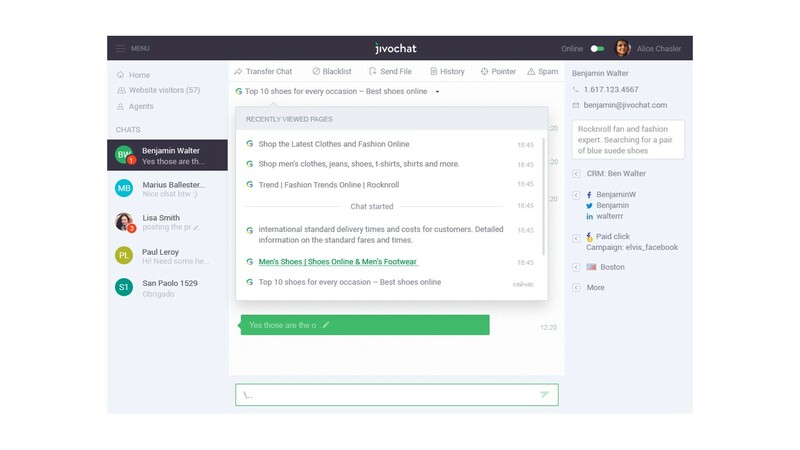 Integrations with favorite software (receive messages from social networks, export statistics to various CRM, connect the acceptance of payments in the chat, etc.). Powerful API and Mobile SDK. The module has a normal installation (one click to install) and it is easy to configure. 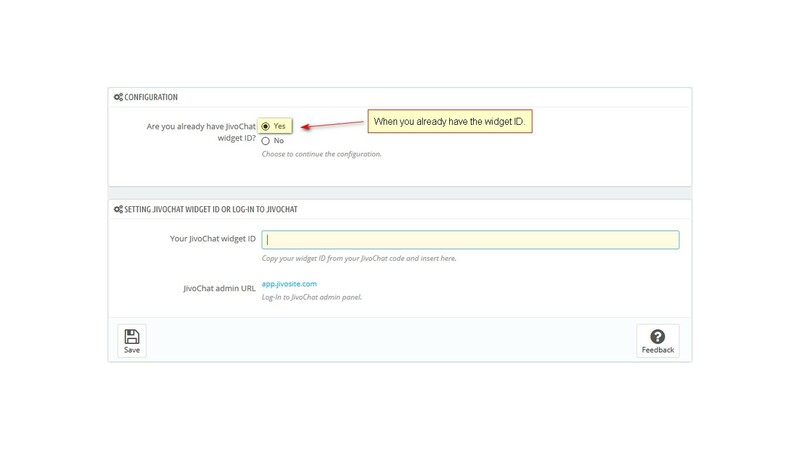 In the module settings you need to specify your widget ID. If you do not have it, you need to register (just follow the instruction in the module settings). If you already have the widget ID, then copy it from the widget code to the input field in module settings. 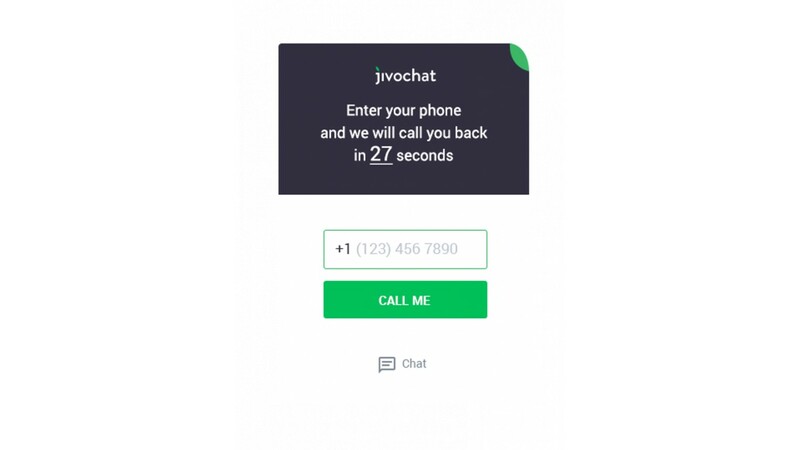 The widget code you can get from the welcome message after the registration or from the JivoChat application back-office: app.jivosite.com/settings/channels. Then, insert the ID to the input field in module settings. 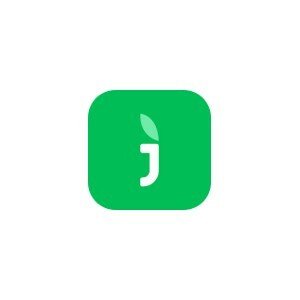 The professional plan for free for new JivoChat account! This promo-code will give you a free license for 5 agents for 30 days. Activate it until the end of November 2018.